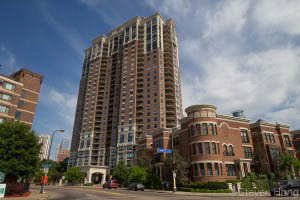 I was recently showing a condo property in the Eagan and Burnsville areas to one of my clients. They were asking me why the association dues vary so much between buildings. Well, there can be several reasons and I'll cover some of the top reasons in this post. I recently heard of a buyer that purchased a condo a few years ago because the association dues were lower than other properties we looked at. In fact, the association dues were $210 per month, compared to other properties we saw with dues closer to $300 per month. The reason the dues were so low were that the members were keeping the dues artificially low so they could pay less in dues. They were shorting money that was needed for future repairs, and the reserve funds. A couple of years later, the association needed to redo the roofs on the buildings. Since they didn't have enough reserves to pay for the job, they had to take out a loan from the city and assess the payments to the taxes. What a mess. Older condo and townhouse buildings will generally need more upkeep and maintenance than newer buildings. Here in Minnesota, roofs generally last less than 20 years because of our climate. Windows and patio doors and decks and siding also need replacement on a regular basis. All of these items add up and can increase the association dues on these older units. Some association properties have special amenities that require dues to cover the value of these amenities, as well as the maintenance of them. These amenities could include outdoor pools, indoor pools, exercise room, party room, party building, guest rooms, shared laundry, a lobby, a dining room or shared kitchen. All of these have expenses that need to be added to the association dues. Some properties have a central heating system that is shared by the entire building. These are usually condo buildings with a steam or hot water system. With these systems, it is near impossible to split the cost down to the unit level. So in these situations, many associations divvy up the expenses on a percentage basis, to each unit.